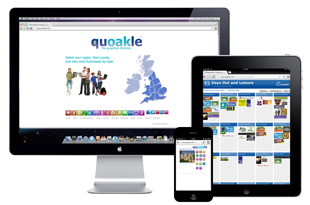 The Gloucestershire Creation Network website has been designed by the creative media team known as Quoakle. The website was created in 2016 using a WordPress responsive template called Enfold. In 2013, the Quoakle team began developing a series of topical directories – for Restaurants and also for Great Days Out UK. We have recently taken on some website promotion work with a new organisation for parents – Parent Power. Although our main focus is local, we are very pleased to work with clients as far away as you can get! … in Australia and New Zealand … Artificial Grass and Confident Communicating based near Sydney and YWAM New Zealand base near Tauranga. A Gloucester company that we’ve been working with for a number of years is Moxham Books the independent book supplier supplying books for schools. Also, Quoakle has been privileged to help a number of charities and educational projects. Diamond Books is a Bible-based reading project which aims to publish Bible Stories for Children that lay foundations for children’s lives not only for their reading development but also for their understanding of God and his plans. The Creative HQ is based in Churcham, a little down the road from Gloucester, UK. However, some of the team work from locations as far apart as Brighton, UK and Canada.